Iron fittings are very important for connectivity. Clean water system, waste water system, sanitation and sewerage disposal, liquid discharge installations, transport systems of non-corrosive liquids and gases, and agricultural watering systems. These are just some of the systems which require good and reliable iron fittings. Even your water sprinkler in the garden, gas, steam, and central heating at home need iron fittings to be fully operational. Iron fittings are essential to make an entire system. Pipes cannot be installed without iron fittings. These fittings connect pipes together. Hence, iron fittings, like pipes, must be of industrial quality. When you ask around in the market, you will discover that there are two types of iron fittings: European made and Asian origin. When it comes to price, Asian iron fittings are preferred because they cost less than European ones. However, when it comes to quality, nothing can top European-made iron fittings. Our company, Odlewnia Zawiercie,is a European malleable iron fittings manufacturer. We have been in the business of crafting European iron fittings for more than a hundred years. 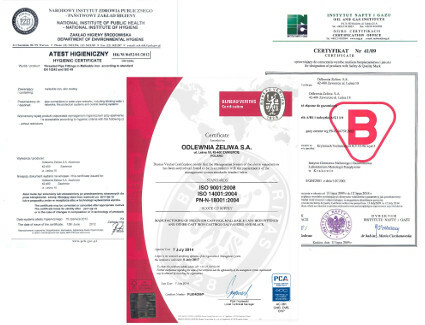 Our highly technological and modernised facility is in Poland. EE white heart malleable iron fittings have the good casting properties of cast iron and the good mechanical properties of cast steel. This combination makes our European iron fittings extra durable than others in the market. Moreover, Asian-made iron fittings, when subjected to a strength test, break into two pieces in just 2 swings of a hammer. EE iron fitting, on the other hand, is unbreakable. Five swings of a hammer just deformed the iron fitting, and did not destroy it. It has a tensile strength of 350-450 Mpa, and hardness of approximately 220 HB. Our modern and highly technological facility enables us to create a numerous amount of iron fittings on a single day. 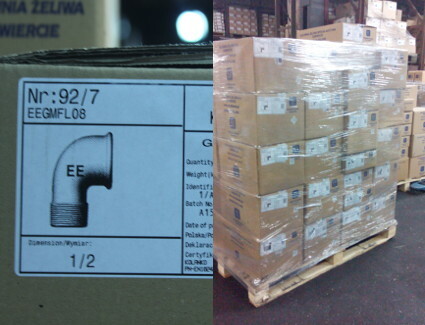 Around 1000t of fittings are always ready in our warehouse to be delivered anytime. 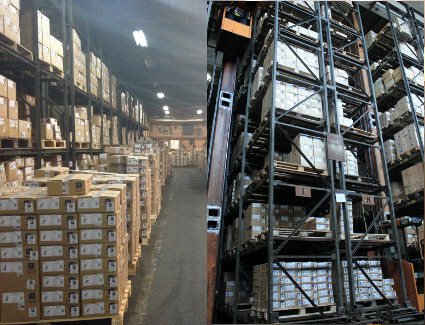 Moreover, we have warehouses located in strategic locations to make sure your iron fittings are delivered on time. Unlike Asian companies where you have to buy fittings in bulk, we can accept orders in smaller quantities. Take note though that these orders should be in carton-basis, not by piece. There are various malleable iron fittings in the market but only our European iron fittings, EE brand, are of superior quality, has fast delivery, there is no need to order large quantities, and certified internationally.